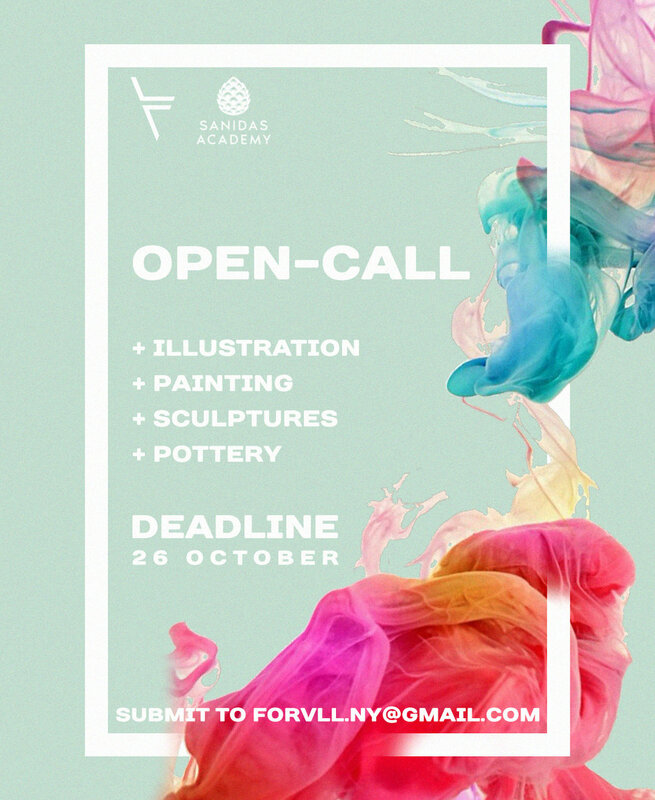 FORVLL is excited to announce another call for entry for an exhibition partnered with Sanidas Academy! Color choice is one of the most intuitive parts of the decision making process as an artist. Our brains are attracted and averted to and from color even at a young age. We use color to create atmospheres and design worlds that are unique to their creator. This exhibition aims to explore the use of color as a tool to envelop and capture the audience. Each artist can submit up to 5 images electronically to forvll.ny@gmail.com by October 26th, 2018. Submissions must include your full name, piece name, size, price, and medium. Please label file or image with piece title. Email if you have any questions about submitting. Each artist will receive an email on further information after submitting and a second email after the deadline if selected. We encourage artists of all levels of experience to submit as everyone's chances are equal. Share with friends and good luck to all that submit!